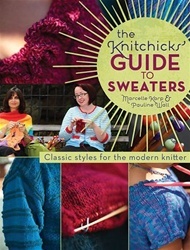 First and foremost, this book is a comprehensive and practical guide to knitting sweaters for men, women, children and even pets. 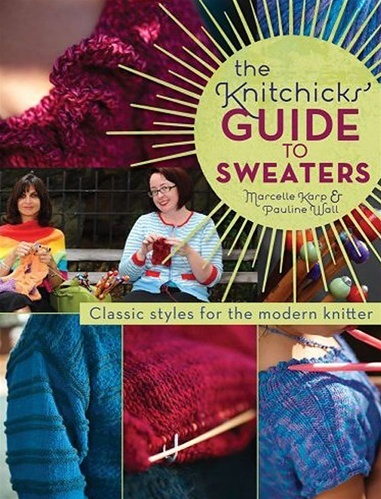 Brought to you by the Knitchicks, two of the most plain-speaking, sassiest knitters out there, The Knitchick’s Guide to Sweaters features a number of sweater patterns presented with clear how-to photos and an extensive knitting techniques and know-how section. The focus is solely on sweaters and more specifically the designs presented are classically styled in order to provide the basics of sweater construction as well as ways to modify the designs for further personalization. Learn how to knit - and design - the ever-popular sweater. This book is great for beginners.